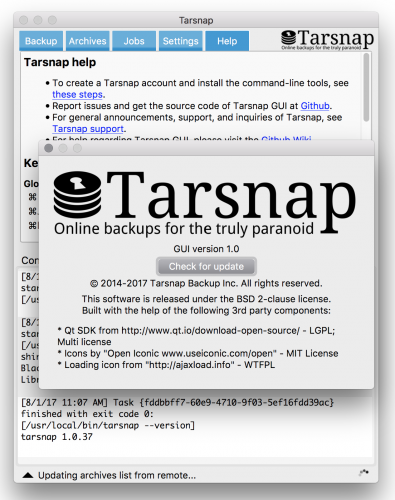 This release is the culmination of all the previous efforts to bring Tarsnap GUI to a point where it is feature rich, reliable and robust enough to be called “stable”. We have been hard at work to bring you the most complete cross-platform open-source and non-intrusive secure online backup solution front-end on top of the tarsnap service possible. This release adds many new features like support for automatic job backup scheduling enable/disable, full I18N support, full search/filter capabilities in Archives, Archive contents and Job lists, detailed Archive contents using long ls list format with sortable columns, save console log to file and running concurrent restore operations and more, as well as many many improvements, code refactoring, fixes and overall adjustments on speed, resource usage, reliability, usability&accesibility and error management & reporting. Grab it from Github, take it for a spin and let me know what you think. Breaking news in the programming world! The Obama-BlackBerry love affair is flooding the tubes! !